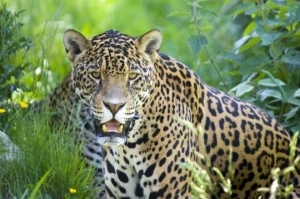 Wildlife around the world is increasingly threatened. Historically, one out of every one million species became extinct each year; since the Industrial Revolution in the mid-1800’s, this rate of extinction has increased rapidly. Today, one out of every one thousand species becomes extinct every year, and the rate of extinction continues to rise. 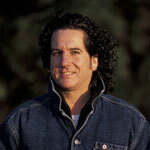 WCN was built on the premise that one person can truly make a difference for wildlife. Independent wildlife conservationists have the power to ensure a future for wildlife by developing new solutions and working closely with communities to save endangered animals. In order to succeed, these wildlife heroes need funding to run their programs and assistance to build their organizations. WCN partners with leading independent wildlife conservationists, providing them with an array of services and training in areas such as marketing, accounting, and strategic planning. WCN also creates connections to donors who can make these conservationists’ work possible. WCN supports fourteen Conservation Partners and helps endangered species in 24 countries. WCN’s mission is to protect endangered species and preserve their natural habitats by supporting entrepreneurial conservationists who pursue innovative strategies for people and wildlife to co-exist and thrive. Each October, all fourteen of our Conservation Partners gather in San Francisco for the Wildlife Conservation Expo, where they share their experiences of saving wildlife around the world to a captive audience. They are joined by guest speaker conservationists, more than 40 organizations committed to animal conservation or welfare, and over 1,000 wildlife supporters for a day of learning and celebration. 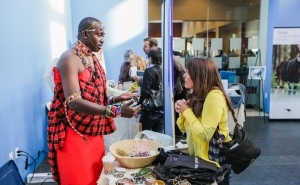 This year’s Expo, held in San Francisco, will bring together conservationists and passionate wildlife supporters. It allows supporters to meet their conservation heroes in person. This year, nineteen of the world’s leading conservationists will share their stories of saving wildlife around the world. Supporters can learn how they create innovative solutions and work closely with local people to create “big impacts” for wildlife. These connections have helped raise more than $30 million for wildlife conservation. The line up of speakers is truly outstanding and it promises to be an inspirational day. 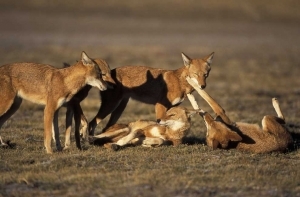 Canid specialist Prof Claudio Sillero and Director of the Ethiopian Wolf Conservation Programme will update attendees on the new challenges facing the Ethiopian Wolves. The Ethiopian wolf is the rarest and most endangered canid in the world. He will talk also about how EWCP works in the field and with local communities and the national government to protect the wolves. As part of Claudio’s funding agenda he has teamed up with Spencer Scott Travel in the UK and occasionally hosts a special joint-venture conservation safari. 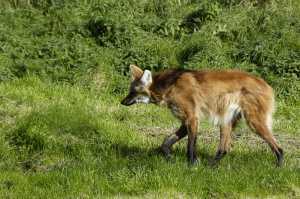 These are extraordinary wildlife trips that play a key role in the sustainable conservation of endangered canids and other species. They are a unique opportunity for supporters to see conservation biology at work in the field, to have close up encounters with species and to spend quality time with the Claudio. These are awesome and life-shifting trips like no other . In November he will be inviting a handful of supporters to join him on a private Ethiopian Wolf Safari in the Bale Mountains to see his beloved wolves and to meet his team of field officers. In July Claudio will be taking a small party of supporters on a truly ground-breaking Jaguar & Maned Wolf Safari in Brazil that will send a week with the Oncafari Jaguar Rehabilitation Project in The Pantanal and 4 days with the Maned Wolf Conservation Programme in the Serra de Canastra National Park. Peter Blinston, Director of Painted Dog Conservation (PDC) will be updating participants about their work, community initiatives and comprehensive conservation model. 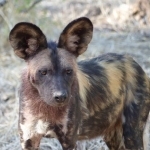 Painted Dog Conservation’s HQ (PDC) is in Zimbabwe, one of the last strongholds of African Wild Dogs. 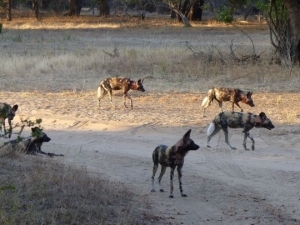 Zimbabwe’s problems directly impact on the long term survival of African Wild dogs, and so the work of PDC is critical for the long term survival of the species. Peter Blinston wants supporters to come out to Zimbabwe to see African Wild Dogs and learn more about this charismatic species. He has teamed up with Spencer Scott Travel in the UK and they jointly organise a bi-annual PDC Safari to Zimbabwe to see Painted dogs in Mana Pools and Hwange National Park and to visit their rehabilitation and educational centre and children’s bush camp and meet the team on the ground. The trip is timed to coincide with the start of their bi-annual vaccination programme and in participating you financially support the on-going work of PDC. The next PDC Safari is in September 2016.